First, a few practice problems. Remember: no calculator! 1) If $5,000,000 is the initial amount placed in an account that collects 7% annual interest, which of the following compounding rates would produce the largest total amount after two years? 2) If A is the initial amount put into an account, R is the annual percentage of interest written as a decimal, and the interest compounds annually, then which of the following would be an expression, in terms of A and R, for the interest accrued in three years? 3) At the beginning of January 2003, Elizabeth invested money in an account that collected interest, compounding more frequently than a year. Assume the annual percentage rate of interest remained constant. What is the total amount she has invested after seven years? 4) Sarah invested $38,700 in an account that paid 6.2% annual interest, compounding monthly. She left the money in this account, collecting interest for a full three-year period. Approximately how much interest did she earn in the last month of this period? Solutions to these will be given at the end of the article. In grade school, you learn about simple interest, largely because we want to teach little kids something about the idea of interest, and that’s the only kind of interest that children can understand. No one anywhere in the real world actually uses simple interest: it’s a pure mathematical fiction. Here’s how it works. There’s an initial amount A, and an annual percentage P. At the end of each year, you get interest in the amount of P percent of A — the same amount every year. Suppose the initial amount is $1000, and the annual percentage is 5%. Well, 5% of $1000 is $50, so each year, you would get the fixed value of $50 in interest. If you plotted the value of the account (principle + interest) vs. time, you would get a straight line. Again, this is a fiction we teach children, the mathematical equivalent of Santa Claus. This never takes place in the real world. With compound interest, in each successive year or period, you collect more interest not merely on the principle but on all the interest you have accrued up to that point in time. Interest on interest: that’s the big idea of compound interest. Here’s how it plays out. Again, there’s an initial amount A, and an annual percentage P, and we also have to know how frequently we are compounding. For starters, let’s just say that we are compounding annually, once a year at the end of the year. In fact, let’s say we have $1000, and the annual interest rate is 5%. Well, in the first year, we would earn five percent on $1000, and gain $50 in interest. The first year is exactly the same as the simple interest scenario. After that first year, we now have $1050 in the account, so at the end of the second year, we gain 5% of $1050, or $52.50, for a new total of $1102.50. Now, that’s our new total, so at the end of the third year, we gain 5% of $1102.50, or $55.12 (rounded down to the nearest penny), for a new total of $1157.62. At the end of three years, the simple interest scenario would give us $1150, so the compound interest gains us an extra $7.62 —- not much, but then again, $1000 is not a lot to have invested. You can see that, with millions or billions of dollars, this would be a significant difference. , as the right formula for this amount. The curve of the graph, that is to say, the multiplying effect of the interest, gets more pronounces as time goes on. BIG IDEA #1: as long as there is more than one compounding period, then compound interest always earns more than simple interest. Technically, the fraction for “compounding daily” would be 1/365 in a non-leap year and 1/366 in a leap year; alternatively, one could use 1/365.25 for every year. For compounding quarterly, we divide the annual rate by four and compound four times each year. For compounding monthly, we divide the annual rate by twelve and compound twelve times a year. Similarly, for daily or any other conceivable compounding period. BIG IDEA #2: We always get more interest, and larger account value overall, when the compounding period decreases; the more compounding periods we have, the more interest we earn. Notice that so far, we have been talking about investments and interest that you earn. All of this, everything in this article, works equally well for debt and interest that you have to pay. Just as the compounding effect, over time, magically multiplies an investment, so the same compounding effect will sink you deeper and deeper into debt. This, in a nutshell, is the lose-lose proposition of credit card debt. You may have noticed that, as the compounding periods get smaller and smaller, the amount increase in every diminishing steps. In fact, as you may suspect, the total amount you possibly could earn from decreasing the compound period reaches a ceiling, a limit. This limit is called “compounding continuously.” The mathematics of this involves the special irrational number e, named for Leonard Euler (1707 – 1783), who is often considered the single greatest mathematician of all times. The formula for calculating continuously compound interest involves e, and is more complicated than anything you need to understand for the GMAT. I will simply point out, in the example above, with one million dollars invested at 5% annual for 20 years, the limit of continuously compounding would be 1 million times e, which is $2,718,281.83. You do not need to understand why that is or how this was calculated. Most banks use monthly compounding interest, for accounts and for mortgages: this make sense for accounts with monthly statement or payments. Credit cards tend to use continually compounding interest, because charges or payments could occur at any point, at any time of any day of the month. In addition to understanding the mathematics of compound interest, it’s good to have a general idea of how it works in the real world: after all, the history or logic of compound interest would be a very apt topic for a Reading Comprehension passage or a Critical Reasoning prompt on the GMAT! 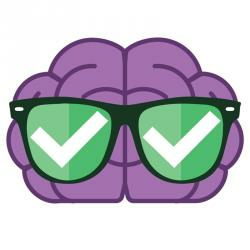 If you had any “aha’s” while reading this article, you may want to go back a take another look at the four practice problems above. If you would like to express anything on these themes, or if you have a question about anything I said in this article, please let us know in the comments section. 2) Notice that, since R is the annual percent as a decimal, we can form a multiplier simply by adding one: (1 + R). That’s very handy! We will explore two different methods to get the answer. That’s the total amount at the end of the first year. The amount A is the original principle, and AR is the interest earned. At the end of the second year, that entire amount is multiplied by the multiplier. We need to FOIL. That’s the total amount at the end of the second year. The amount A is the original principle, and the rest is the interest earned. At the end of the third year, this entire amount is again multiplied by the multiplier. That’s the total amount at the end of the third year. The amount A is the original principle, and the rest is the interest earned. 3) In order to determine the total amount at the end of an investment, we would need to know three things: (a) the initial deposit; (b) the annual percentage rate; and (c) the compounding period. Statement #1 tells us the initial deposit but not the annual percentage rate. Insufficient. Statement #2 tells us the annual percentage rate but not the initial deposit. Insufficient. Together, we know both the initial deposit and the annual percentage rate, but we still don’t know the compounding period. All we know is that it’s less than a year, but quarterly compounding vs. monthly compounding vs. daily compounding would produce different total amounts at the end. Without knowing the exact compounding period, we cannot calculate a precise answer. Even together, the statements are insufficient. 4) Without a calculator available, this is a problem screaming for estimation. The problem even uses the magic word “approximately” to indicate that estimation is a good idea, and the answer choices are spread far apart, making it easier to estimate an individual answer. Let’s round the deposit up to $40,000, and the percentage down to 6% annual. Compounding monthly means each month, Sarah will accrue 6/12 = 0.5% in interest. Well, 1% of $40,000 is $400. Divide by 2: then 0.5% of $40,000 would be $200. That would be the simple interest amount, as well as the interest in the first month. We expect the amount in the last month to be a little more than this, but certain not even as large as double this amount. The only possible answer is (A). Here , where does that 4 come from ? A little clarification about #4. ” Approximately how much interest did she earn in the last month of this period?” So basically its asking for the ‘total’ interest at the end of 3 years, approximately, right? Or interes just for the 36th month from the start of compounding action? Thanks for these write ups. I write my GMAT in a month’s time. And I am spending the entire month reading all your blogs on quant and verbal as a last minute brush up. Thanks for these detailed posts. I’m so glad that you’ve found our blog to be helpful! For Question #4, you are looking for the amount of interest that was accrued only in the last month of this time period. In other words, how much money does she make from interest ONLY in the final month. Thank you so much for all your fantastic posts. 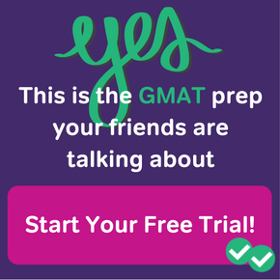 They have truly been helping me when I felt stuck and wasn’t finding a good resource for getting certain GMAT math topics clarified – some of the prep books out there have good answer explanations but don’t delve into the concept or offer drills by specific problem type, let alone show shortcuts and tricks. I appreciate you being so conscientious about what students need; you are truly a wonderful teacher and Magoosh is lucky to have you. I’m hoping you can clarify this sentence from your Compound Interest section: “After 20 years, the amount in the account would have experienced fifteen 5% increases” – could you please explain where the number fifteen comes from? I have the understanding that after 20 years, the amount would have twenty 5% increases, not fifteen. As for your question, you are 100% correct. I am not sure if that errant “fifteen” was in there from the beginning or was changed at some other point, but it most certainly is wrong. I just replaced it with “twenty,” which of course is correct. Your sharp eye for detail will serve you well on the GMAT. My friend, I wish you the very best of good fortune in your GMAT preparations and beyond! Thank you soo much for all these posts. 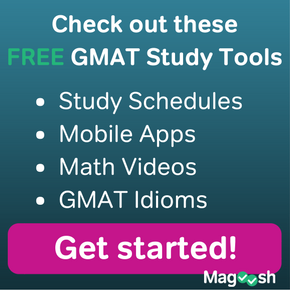 I can not express in words how helpful they are towards my GMAT prep. I have made several notes regarding this post. While revising them I came across a minor calculation which I was not very comfortable with. amount = 1000 * (1.0125)^28 = 1415.99. I’m happy to respond. 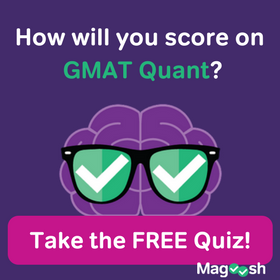 🙂 The GMAT will NOT expect you to calculate the 28th power of something from scratch. If this number were involved in a problem, the GMAT would leave the answers in the uncalculated form. e.g. Your job would be simply to recognize the correct form of the answer. Does this make sense? I have a question regarding your answer for Question 4. You mentioned that amount in the last month is certain not even as large as double this amount. How do you come to this conclusion? Thank you very much. Think about this, my friend. Since the interest rate is fixed, they only way the interest in month could double would be if the total amount in the account doubled. Well, think about the real world — if you invest money for just 3 years at only 6% interest, you most certainly are not going to double your money in that time!! If this is not completely clear to you, then you need to do some real world research about how people invest and how fast their money truly grows in real investments —- doubling one’s money in just three years would be an insanely good investment, and typically only happens in situations of blind luck (e.g. investing in Apple or Google just before they went big!) You don’t really understand compound interest until you understand how real people and real businesses invest real money in the real world. could u explain me the concept of multiplier…though it is making the thing quit easy but what exactly that(acting multiplier) is,,,,(i know how to get it)…but basic concept for that. which explains that idea in greater detail. Often on this blog, if I am focusing on one concept but another concept arises, I will provide a hyperlink to the blog that focuses on this second concept. The interlinked nature of this blog allows you to concentrate on whatever concepts you most need to learn. just had it….. thanks for your response. You are quite welcome. 🙂 Best of luck to you! 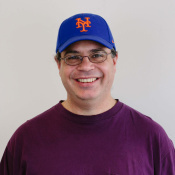 Hi, I was working on a problem on the Magoosh site earlier and saw that the interest was 5% annual and compounded quarterly which lead to 1.25%. This makes sense. Then, I saw the multiplier of 1.0125…can you explain to me how you got this multiplier?? Converting percents to multipliers is a hugely important skill to understand on the GMAT. Question number 4’s answer is a bit confusing for me! Can you please let me know where my logic could have gone awry? Therefore, the interest in one month is 0.5% or 0.005. We know that 1% or 0.01 of $40,000 is $400. Therefore, half of this is 0.5% or 0.005 is $200. That’s the month payment. You don’t need to divide anymore. Does this make sense? I am not able to understand what they are asking in the 4 question. Which period are they referring to as last month? I adjusted the wording of the question slightly. See above. Let me know if it is still unclear. You are quite welcome! I am very glad you found it helpful! Best of luck to you! I have 2 questions, hope you could help me out. 1. Is the compound interest multiplier similar to growth factor? Can we apply the formula of compound interest to solve population growth problem? 2. Could you explain more detail as to continually compound interest (for credit cards interest) or at least please show me where I can find articles related to this topic? I’m happy to respond. 🙂 If the growth factor is yearly, then growth in a population would be identical to growth of interest in an account compounding yearly. It would work exactly the same way. If you want to read more about continually compounding interest, I would suggest an advanced Precalculus text or an introductory Calculus text.